It’s that time again! 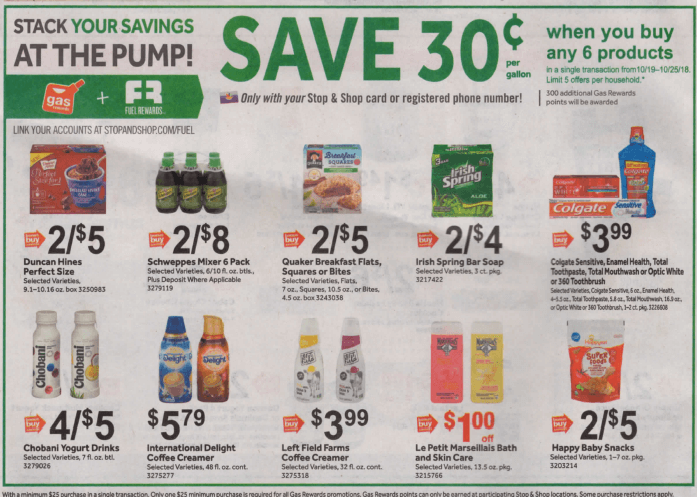 Time to check out what deals we can score at Stop & Shop beginning Friday, 10/19 with their new gas reward offers! This week we have 3 gas reward promotions. The first deal is Buy 6 participating products and earn 300 gas reward points, which is equal to $6.00 ($0.30 off per gallon, up to 20 gallons of gas). There are always many different deal ideas you can work with gas reward deals depending on what you want, need and have coupons for. 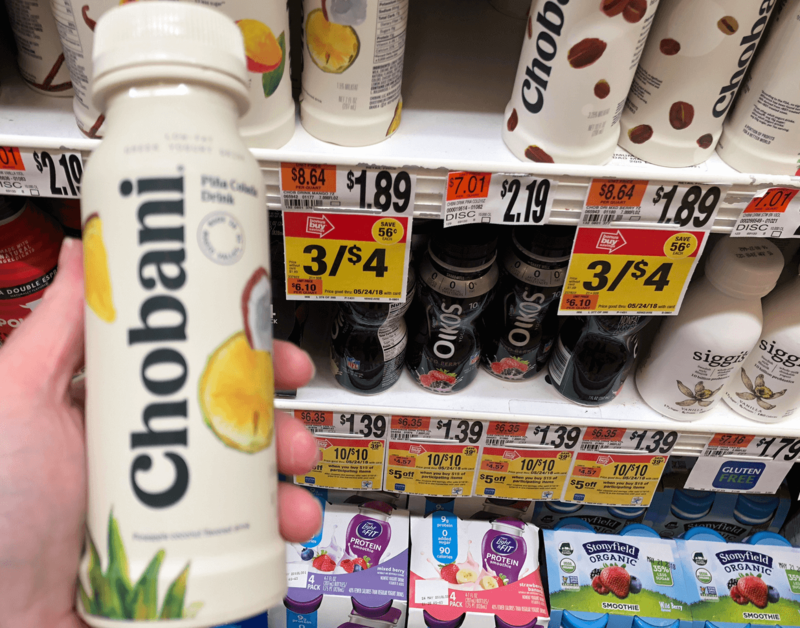 For the “Buy 6 Get 300 Gas Rewards” offer the best deal I’m seeing is to buy 4 Chobani Yogurt Drinks priced at $1.25 eacha, and 2 of the Happy Baby Snacks priced at $2.50 each! Lucky for us we have coupons for both! Assuming you do the deal exactly as outlined below scoring a full 20 gallons of gas you can score all 6 items for FREE after filling up at the pump! For the Second Gas rewards section, We have a Buy 3 Get 500 Gas Rewards which is equal to $10.00 ($0.50 off per gallon, up to 20 gallons of gas). 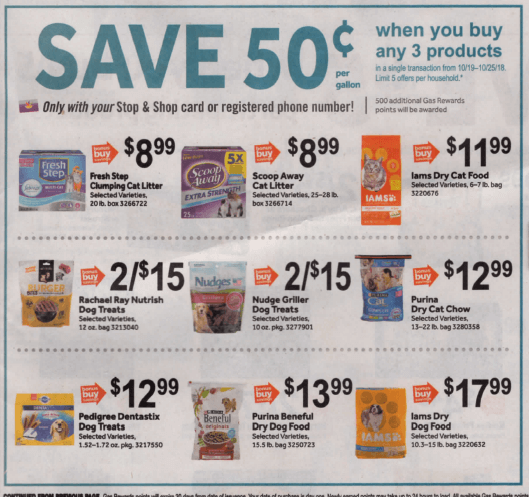 The best deal we are seeing here is to pick up 3 of the Nudges Dog Treats. We have a $1.50/1 Nudges 10oz+ bag dog treats, coupon available from the 10/14 RMN insert. 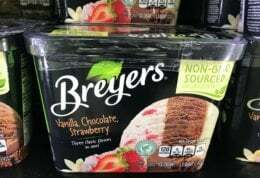 After coupon we’ll pay $6.00 per bag, which is $18.00 out of pocket. Assuming you can fill up with the full 20 gallons of gas you can score all 3 for as low as $2.67! Remember you have to score the full 20 gallons, if not we’ve set up deal ideas below for a few different fill ups. 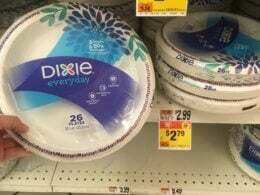 Our third Gas deal is a Gift Card deal offer, and it’s for 10x Points on Staples, Dominos, or LL Bean Store Gift Cards, these cards have NO Activation fee. It’s running 10/19 – 10/25! It’s a 10x Gas Rewards Deal and is running through 10/25 you can purchase $100 in Participating Gift Cards and earn 10 times gas points on this purchase. 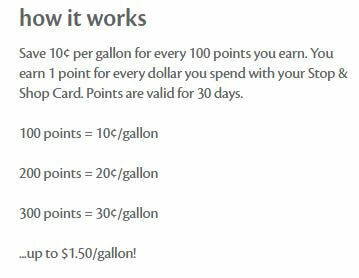 You earn 1 point for each dollar you spend at Stop & Shop, so if you bought $100 of these Cards during this promotion, you will earn 1000 gas points, which is equivalent to $1.00 off a gallon of gas at participating Shell Gas Stations. NOTE: * you can only use a max of $1.50 off per gallon, the rest will remain on your account until they are used or expired. You can fill up with UP TO 20 gallons of gas using your gas points. If you buy $100 in Gift Cards you will have earned $1.00 off of 20 gallons of gas, which is equivalent to $20.00 in savings. So to summarize, with 1000 gas points (which you will earn for buying $100 in participating products) you can get UP to $20.00 in FREE gas, assuming you can fill up with 20 gallons of gas. These Gas Rewards deals are such a great way to rack up the savings at the pump, while saving on your grocery budget! Watching the bill drop on one of our biggest expenses has been amazing! **300 gas points gets you $0.30 off per gallon up to 20 gallons which is equal to $6.00 in gas. **500 gas points gets you $0.50 off per gallon up to 20 gallons which is equal to $10.00 in gas. **1000 gas points gets you $1.00 off per gallon up to 20 gallons which is equal to $20.00 in gas.